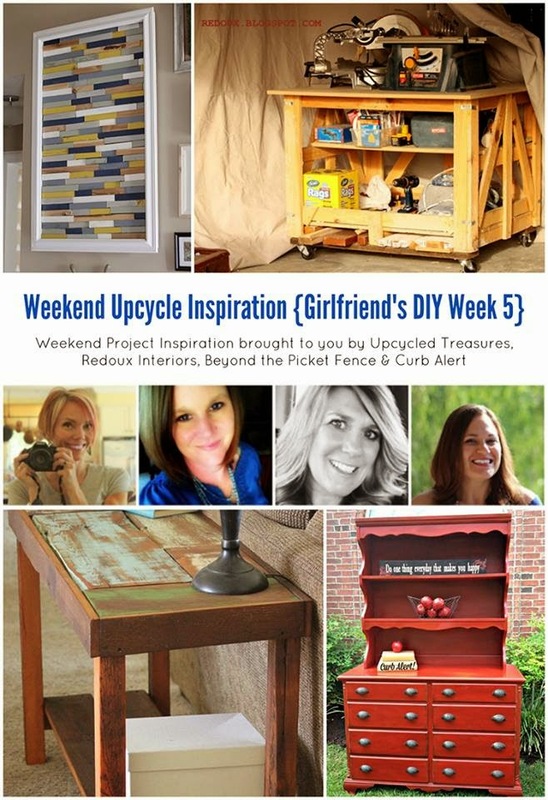 Happy weekend and welcome to Weekend DIY Inspiration, Girlfriend's DIY week 4! 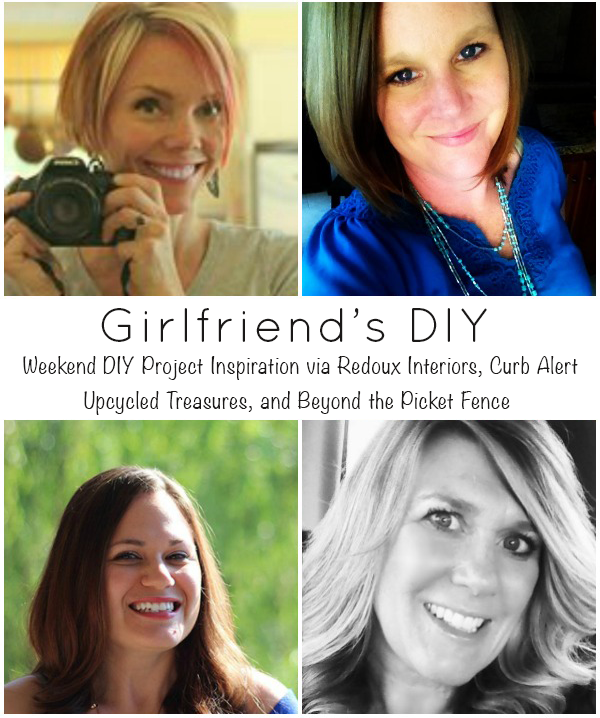 This is your place to get inspired for the weekend and to get your own DIY projects going. 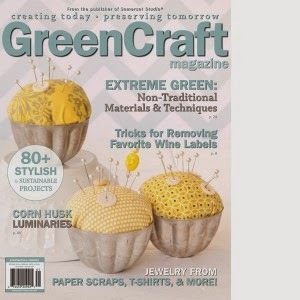 Take a few minutes (okay, maybe longer if you are like me) and check out each fabulous project. Let us know if you are inspired to try one! 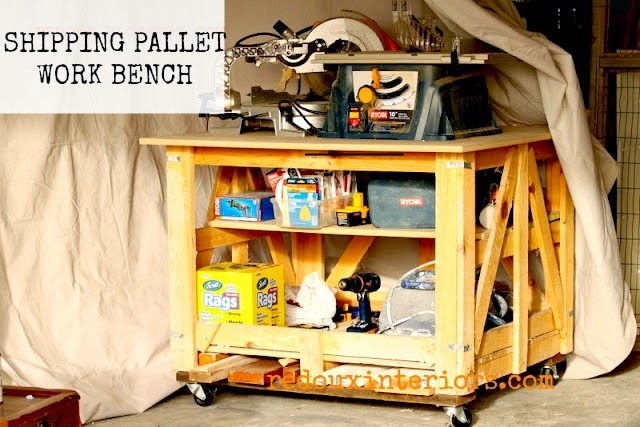 Karen from Redoux Interiors shows us how to make this awesome pallet work bench. I love that it is on wheels--I need one! 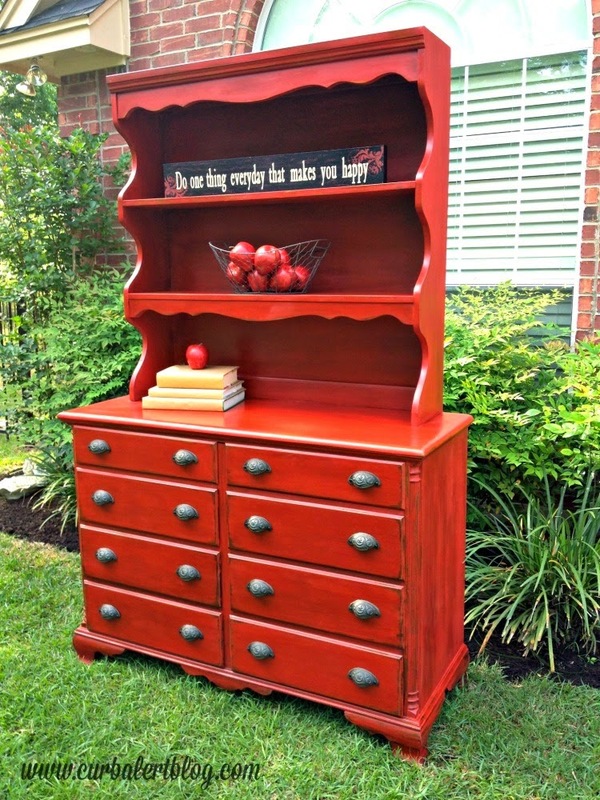 Tami from Curb Alert made an outdated hutch sing with new paint. Wow, what a statement piece! 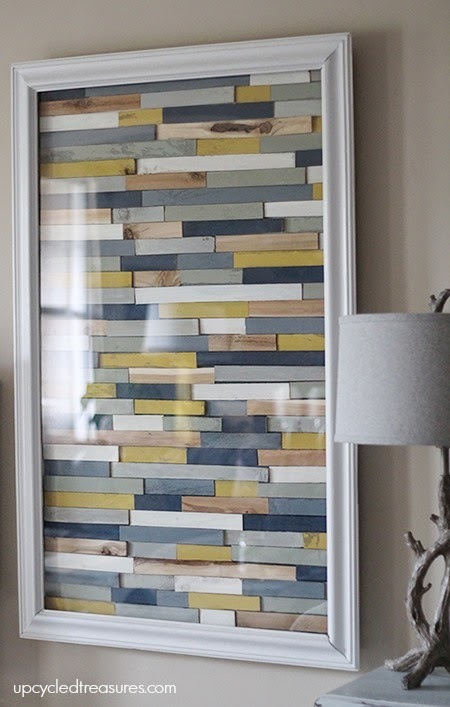 Katie from Upcycled Treasures shares a great tutorial on making this wood shim art. 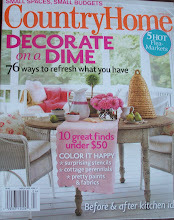 I am imaging all of the fun color combinations I could make this in. 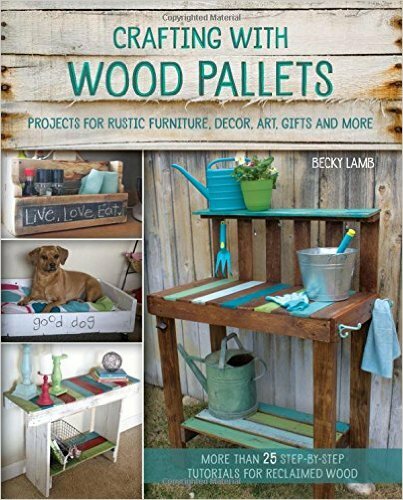 And Beyond The Picket Fence (that's me) shows you how to make a scrap wood sofa table, so many different ways to vary it and make it unique. Here's to a fun, DIY kind of a weekend!